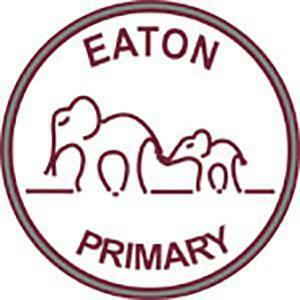 Eaton Primary School is situated on the residential outskirts of Norwich, within easy reach of the University of East Anglia, the John Innes Research Institute and the Norfolk and Norwich University Hospital. It is essentially a neighbourhood school, but welcomes children from a wider area. Children may attend from reception to the end of year 6 (4-11 years old). Currently the school utilises Read Write Inc as a Phonics Scheme. Curriulum information pertaining to this school is available on its website. Uploaded by Mia Dann Films on 2017-04-26. A very warm welcome to our wonderful school. Since converting to an academy in February 2015, our school has gone from strength to strength. This is borne out by our above national achievement in Early Years, Year 1 phonics, KS1 and KS2 tests. We are proud of how well our children achieved last year and plan to build on our many successes this year. Eaton is not only quickly becoming a school which promotes excellence in educational outcomes; we are also an inclusive school where every child is encouraged and supported to realise their full potential. We offer a full program of termly trips and visitors in every year group to support our exciting curriculum offer. We take part in the Norwich Sports Partnership calendar of events and have professional coaches in school to deliver high quality PE. Children now enjoy swimming lessons at the outstanding Sportspark pool at the UEA. Classrooms really do buzz with learning; practical and investigative science is taught weekly and we now have a Maths Day every term, so that teachers and children can explore and investigate concepts together in greater depth. Eaton is an exciting school to be at. It is caring, welcoming and values working in partnership with the wider community. If you are interested in visiting our school, please make an appointment to meet with myself and to have a look around our fantastic school. 2017 Key Stage 2 Average scaled scores Reading 104, GPS 106, and Maths 104. School scores were; Reading 105, GPS 106, Maths 105. 2016 Key Stage 2 average scaled scores Reading 104, Maths 103, GPS 105. Numeric figures show attendance details for the last academic year. EAT wishes to thank the following who stood down recently or during the last academic year; Mrs S Lubbock 4/6, Mr S Mitchell 5/6 and Mrs J Perkins and in particular Mr D Whitehead 4/6 a founder member of this group who joined as a member of the Interim Executive Board which helped oversee the conversion to academy status and the start of improved outcomes once again at this school.